Run by James Mursell, each course is held in a purpose built workshop on his farm in West Sussex. A maximum of eight students per course ensures that everyone receives all the individual attention needed. 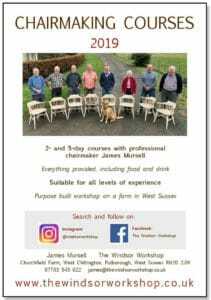 Students will be guided through the course by professional chairmaker James Mursell, who has taught over 800 students at The Windsor Workshop over the past 13 years. 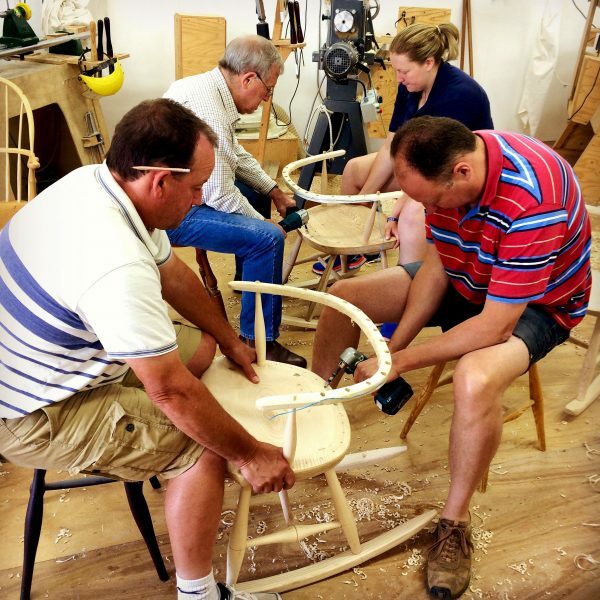 The chair making courses are action packed with new techniques being introduced all the time. However there are plenty of breaks for coffee, lunch and tea in the adjacent farmhouse. These breaks are a great time to get to know your fellow students and are an important and enjoyable part of the course. All food and drink is provided and few students leave the course lighter than when they arrived! 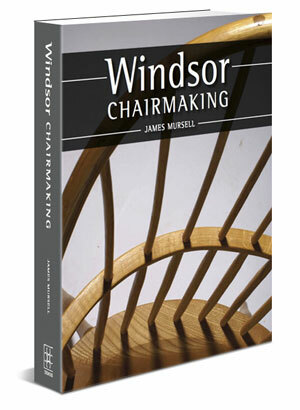 Great emphasis is put on making a Windsor chair that is soundly constructed using traditional techniques that have stood the test of time. 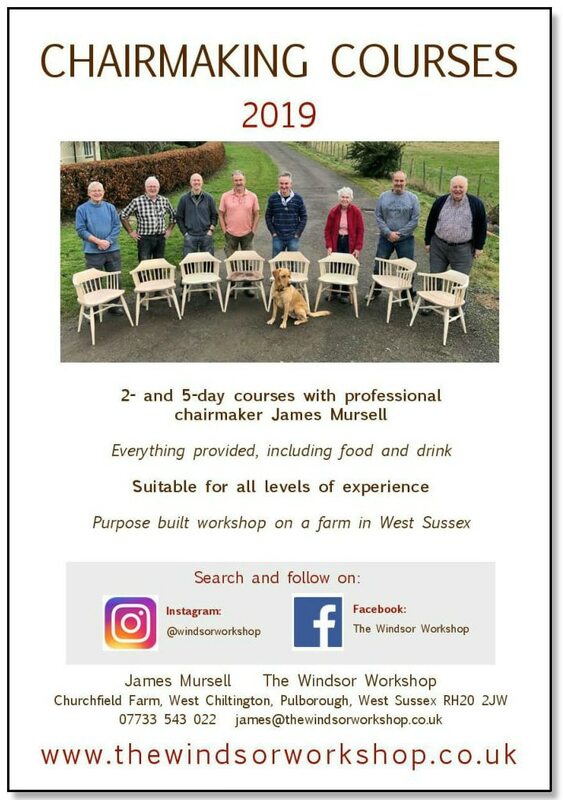 On the 5-day chair making courses the use of green wood is essential in order to make the finest possible chairs and this wet wood is fully dried before being incorporated into the chair. Each person can expect to take a completed Windsor chair/stool away with them at the end of their course along with the skills to make more on their own at home. Almost the whole course is based around the use of hand tools such as: spokeshaves, travisher, drawknife, adze, brace and bit and others. 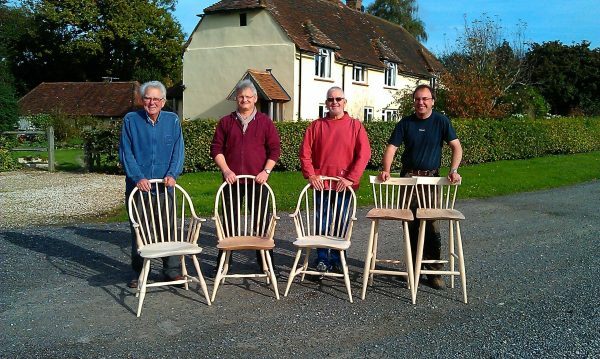 Students come on these chair making courses for a number of reasons: just to have a go and to gain the satisfaction of making an attractive and useful Windsor chair; or in the hope of finding a new hobby or career. Whatever your motivation, why not give it a go? You will be guaranteed a busy week learning a wide range of new techniques. A range of local accommodation is available for those that live too far away to commute daily.